Many of us have grown up with the notion from our parents, grandparents, etc. 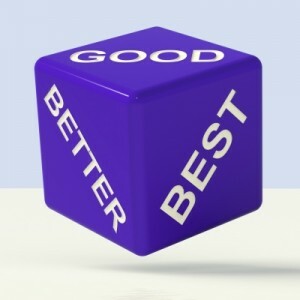 to just “give it your best” and the desired outcome will simply be accomplished from mere “effort.” As we grow older and gain more experience in the game of life, we know that “maximum effort” does NOT always produce “maximum results.” Especially in this day and age, there are simply too many factors that we don’t control. Popularity, reputation, social-econonmic factors, geographical factors, etc. can all play a role in an outcome where you have dedicated a ton of effort. As I have said in past blogs, it does not matter if you have 110% to give each and every day, but simply give the maximum effort you consistently have each day. The next step to ensure success is making sure disappointments, stress, trials, and tribulations don’t dampen your passion for achievement. Many times the “winner” is simply someone that refuses to quit working towards a goal or series of goals. A “winner” does not let any negative circumstances/outcomes dictate their end result in life! Many times the race is not always to the swift, but rather to the one that keeps on running.